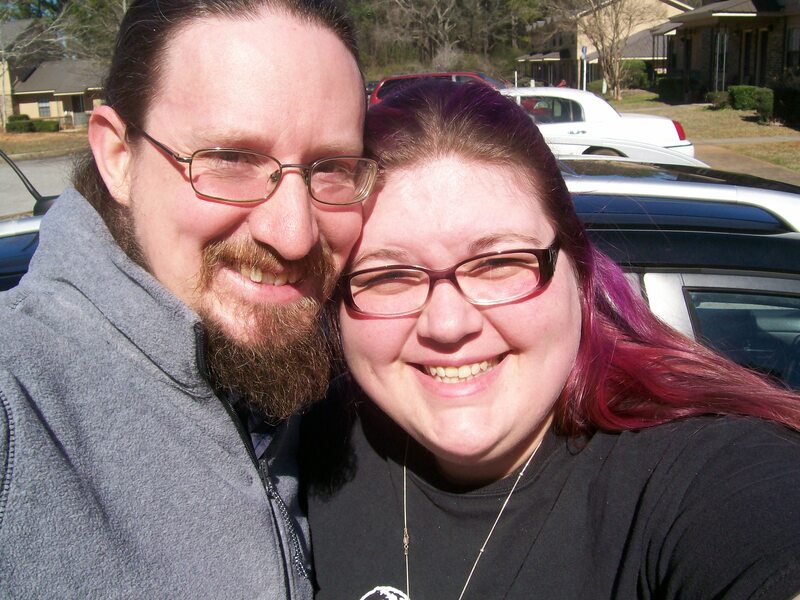 Now, we’ve been together for a decade and we have actually been married for seven, so we aren’t newly weds. And, ironically, the first two years of our marriage were probably the hardest for us to get through for several reasons. But we still hold hands. In the last decade, we’ve spent twenty days apart. He is still the person I’d rather spend time with than anyone else on earth. By this definition, we still fall into that newly wed category. And it amuses me now – though it really bothered me for a while – that people roll their eyes at us and tell us “oh, you’re still in that newly wed phase.” Yes, we are. And you wouldn’t believe the amount of work we put in day after day to make sure we still love each other just this much. It has taken me a while to be able to look at these people and realize that they are not necessarily jealous of the relationship I have with Joshimus Rex. But, to all those wonderful people who are happily married to someone who they don’t feel the need to spend all their free time with – you are not jealous of me, and I am not jealous of you. I don’t need to grow up. I prefer to spend my time with my husband; I prefer to pursue hobbies and activities that we both enjoy. Because he is my best friend, the person that I tell all of my secrets. And even those women who have been my best friends over the years – women who have known me for years longer than my husband – will tell you how rare it is for me to share all of myself with anyone. I’m the kind of person who always kept a small part of myself from everyone else. But I have nothing – no part of me – which is off-limits to Sir Joshimus Rex. Some people will find themselves in a happy relationship where they have friends’ weekends away from their spouses and whose best friend is not their spouse. And that is fantastic for them. But you don’t have to be one of those people if it doesn’t suit you. Don’t let someone belittle the relationship you are building with your spouse; you don’t have to be hyper-independent to be in a healthy relationship! And I plan on spending the rest of my life working just as hard to love my husband and best friend through every change and struggle and success. My ultimate goal is to hold my husband’s hand every day, for him to never doubt not only that I love him but how much I love him, and for those in our life to get a little bit of that light and joy we bring one another for their own lives. Because I know there are others like us out there who are looking for a love like ours. It’s not impossible. It’s not wrong. And it’s not easy. But it’s worth it.